Following rumors earlier this week, filmmaker Jon Favreau has taken to Instagram to confirm the name and reveal the first synopsis of the live-action “Star Wars” TV show coming to Disney’s untitled streaming service launching next year. Favreau serves as executive producer on the series which will be called “The Mandalorian” and began production in Southern California this week. That’s all Favreau would reveal for the moment and confirms part of the report the other day. Not yet revealed is any of the cast members or helmers of the series which is reportedly going to be just eight episodes long. Dave Filoni and Alan Taylor are rumored to be helming two episodes each. One day after the reveal of the title and synopsis, the official photo from the upcoming “Star Wars” live-action series “The Mandalorian” has been revealed along with a full list of all the directors handling the ten episode run. “Star Wars Rebels” creator Dave Filoni will helm the first episode with Taika Waititi (“Thor: Ragnarok”), Rick Famuyiwa (“Dope”), Deborah Chow (“Jessica Jones”) and Bryce Dallas Howard (“Solemates”) handling the rest. The story follows the travails of a lone gunfighter in the outer reaches of the galaxy far from the authority of the New Republic. Jon Favreau, Dave Filoni, Kathleen Kennedy, and Colin Wilson will executive produce. The series is also slated to have a combined budget of $100 million across the whole season, averaging out at $10 million per episode which is about on par with the sixth season of “Game of Thrones”. In fact it makes it one of the most expensive first seasons of an ongoing series of all time – more than “Star Trek Discovery” ($8.5M), “Sense8” ($9M), and “Rome” ($9.7M) and behind only “The Crown” ($13M) and “The Get Down” ($16M). 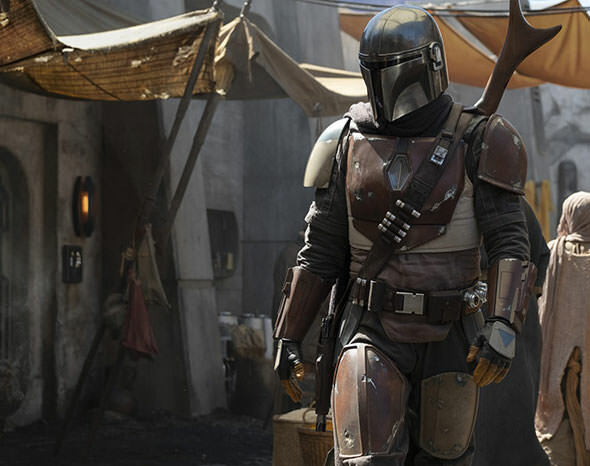 The Mandalorian does not yet have a release date but will be a part of Disney’s direct-to-consumer platform to launch in late 2019. Disney is currently developing multiple limited series featuring characters from the Marvel Cinematic Universe for the same service. Nemam pojma, za mene je SW uvek bio: Dzedaji, Sila, Imperija i Pobunjenici. To je to. Aj videcemo, ali nesto se ne lozim na ideju. Mozda bude cool. Pogledao sam oba teasera sa Celebration-a, looks OK. Show krece 12. novembra zajedno sa Disney+ i bice "emitovan" nedeljno.